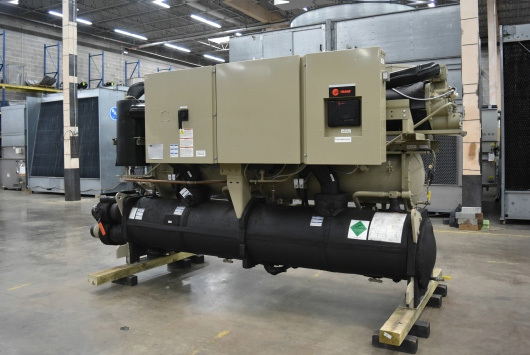 This used 2011 Aaon 155 Ton Packaged Rooftop Unit Air Conditioner RTU RL Series was recently removed from a gaming facility that was upgrading their systems. It is located in our facility in Dallas, Texas and is ready to ship to your location. SKU:2102. Category: Packaged Rooftop Units for Sale. Tags: Aaon, rooftop unit, RTU, used.